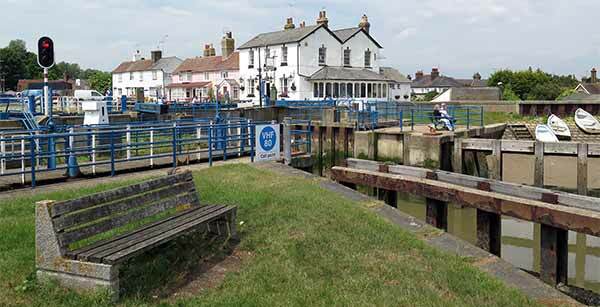 Heybridge Basin is the start of the Chelmer & Blackwater Navigation to which it owes its existence. It was here that the Colliers' barges unloaded for the journey inland. Construction of the 13 mile canal to Chelmsford commenced in 1793 under the general direction of John Rennie. William Bentall moved his iron foundry from Goldhanger to a site next to the canal in the village of Heybridge because of the benefits of being able to take raw materials right up to the works. 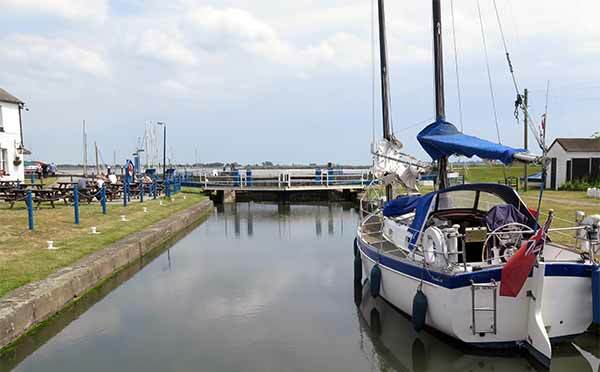 Today, Heybridge Basin is a haven for pleasure craft of all ages and sizes as well as being the starting point for walks along the sea wall to Maldon and beyond. The two pubs that once served to quench the thirst of the basin workers and visiting sailors now cater for the tourists visiting this picturesque area. There is also a tea room and art and craft gallery on the sea wall. You can reach the Basin by car from the B1026 Goldhanger Road and parking is free in the Daisy Meadow car park which is next to the canal or alternatively, you can walk along the navigation towpath from the Wave Bridge or follow the sea wall from Hall Road Heybridge. Sit by the sea wall and watch the craft going through the sea lock at high tide or maybe catch a glimpse of one of the old barges making their way along the Blackwater towards the sea.